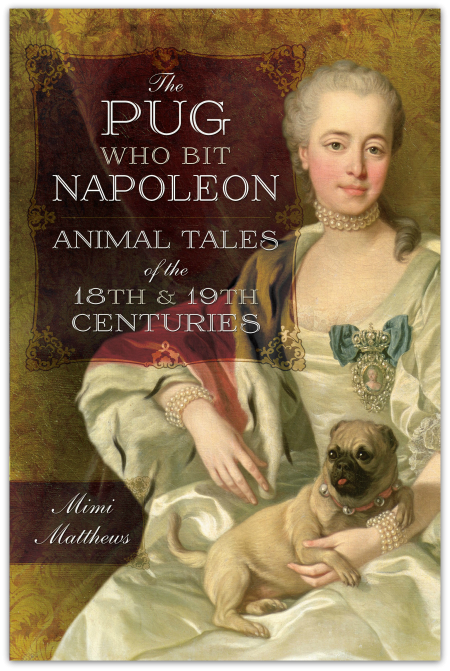 The Pug Who Bit Napoleon features historically accurate—and thoroughly cited—animal stories about famous (and not so famous) dogs, cats, horses, rodents, reptiles, and fish. It also contains 100 color images, including paintings and sketches of the various animals profiled. For more about The Pug Who Bit Napoleon, including reviews and buy links, click through to its official book page HERE. Or, to order directly from Amazon or Barnes & Noble, simply use one of the links below. If you purchase a copy of The Pug Who Bit Napoleon this week, whether in paperback or eBook, please do stop by my Facebook or Twitter page and let me know so that I can thank you personally. And please don’t forget to leave a review at Goodreads and/or Amazon! Bought and on its way !